Strick are a band from Germany that plays a raw mixture of black metal, crust and grindcore and this is a review of their self released 2018 ep "Selektion". A very dark and heavy sound starts off the ep while you can also hear all of the musical instruments that are present on the recording along with most of the tracks being very short in length and when the music speeds up a great amount of tremolo picking and blast beats can be heard which also gives the music more of a raw feeling. Vocals are a mixture of high pitched black metal screams and deep growls while elements of grindcore and crust are also added into the faster sections of the music along with some atmospheric sounds also being used briefly as well as the songs also adding in a great mixture of slow, mid paced and fast parts and the riffs also bring in a decent amount of melody, spoken word samples can also be heard briefly. 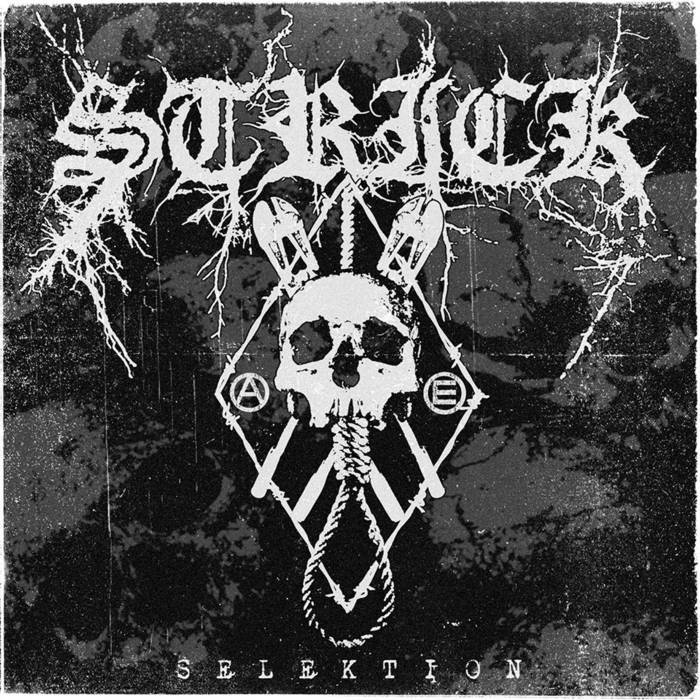 Strick plays a musical style that takes black metal, crust and grindcore and mixes them together to create a sound of their own, the production sounds very dark and raw while the lyrics are written in German and cover anti fascism themes. 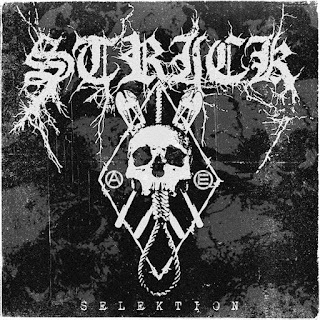 In my opinion Strick are a very great sounding mixture of black metal, crust and grindcore and if you are a fan of those musical genres, you should check out this band. RECOMMENDED TRACKS INCLUDE "Vier Meter" and "Leistungszwang". 8 out of 10.